Bradley and girlfriend. . Wallpaper and background images in the Merlin on BBC club tagged: bradley james friend. 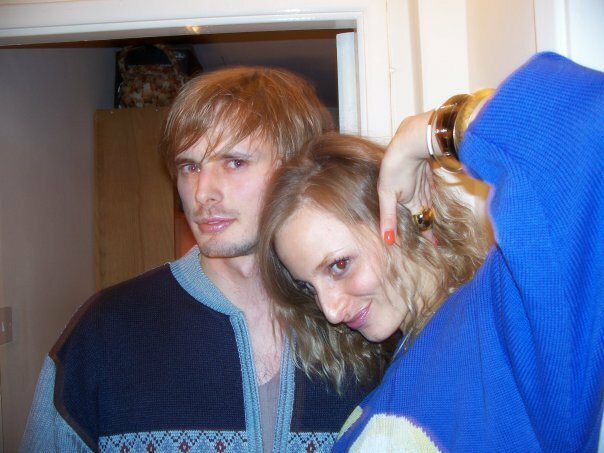 Bradley James and Girlfriend; Georgia King. Nov 2011.
its weird they look alike!! thats him if he was a girl!!! Wow you guys are so rude (Minus lancelthot) he's found someone that he obviously adores, and maybe even loves and you're just bitching about it because she's not you. Why would he want fans like you? i don't know you, but i do think she is ordinary...agree with hunze 100 percent! He does look happy. Who really knows who he is dating now. As long as he is happy then it shouldn't matter. There has been fan rumours about him and Georgina and Angel yet nothing has been confirmed. If Bradley is in his right mind he shouldn't tell either because the poor girl will be verbally trashed by his fans. Look what happened to poor Angel when the behind scenes were made. Bradley paid her too much attention and some of the fans wanted to kill her, geez. The Merlin fandom have never gotten over it and still to this day the poor woman is trashed. No wonder she hardly attends their promotions. It is fine voicing our opinions but be classy with it,lol. Wow, lovely fans of Bradley. You do know your going have to face the fact that he might actually marry someone some day. There is no point being mean to a girl that Bradley falls in love with, it's there life. It's up to them on what they do. Oh and if it was true about the Georgia and Bradley thing, these kind of 'fans' made them break up. Yup, so cha cha. And let them be. A Merlin Fan's Guide on How to Download Series 2 Merlin!